Today’s topic is long overdue: how to find the best fitness franchise model for yourself. What is the Buy-In Fee? The first thing to ask is what the buy-in fee is. And what does that buy-in fee cover? Typically every franchise has a buy-in fee, which is a source of profit for them. It’s also a source of revenue for them to use for the deliverables they give you from the get-go. Do they make you a customized website? Do they offer search engine optimization? 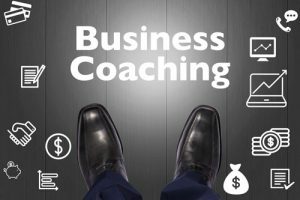 Do they assign you a professional business coach to answer any questions you have? All those costs have to get covered. The question is what does the franchise charge you for those costs? Because if they charge you 45 to $85,000 to come on board, you need to ask them what exactly that covers. What Equipment Do You Need to Buy? Thing number two to look at is the equipment that you’ll need to buy. Many franchises out there will ask you to buy the equipment through them, but when you buy the equipment to build out the franchise through them, there is a significant mark up. While I’m a big fan of free enterprise and everybody profiting, it’s in your best interest to find out the equipment cost and what your limits are. Can you shop outside for the best discount? Or are you required to purchase equipment from them? 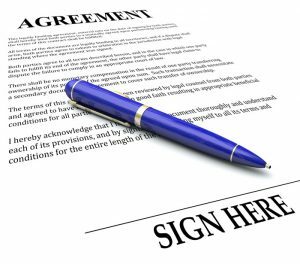 What Are My Franchise Royalty Fees? You also need to know what your franchise royalty fees are. The standard practice out there is to charge between 6% and 8% of your gross monthly revenues. Which again could be awesome, depending on the service and support they offer you. But look at it this way: if your franchise does $20,000 a month after, let’s say, a year or two of being open, and they take 6% of that, they’re effectively getting paid $1,200 a month. So you have to ask yourself: am I getting the equivalent of 6% of my gross revenue each month in services, support, and help from the franchisor? Are they helping you grow, or are you growing the business yourself and forking over money to the franchise in fees? Try to find a franchise that offers a flat franchise fee. That’s what I do with Fit Body Boot Camp. We have a flat franchise fee that’s fair, and we make our money on the back end when we help our franchise owners get more clients. How Many Years Do You Have to Commit To? Another important factor to look at is how long you have to commit to the franchise. You’ll see some franchises offer as much as a 10 or 20-year commitment. Which could be worth it. But if you aren’t comfortable with the track record of that franchise—maybe they haven’t been around long enough or they’re not a big national brand yet—you may want to consider declining that 8,10, or even 20-year franchise agreement with them. How Much Coaching Do They Give You? Of course, the fifth and final thing to consider when looking for a good fitness franchise model is what is how much coaching and support they give you. As a business owner, your problems always change. When you first get on-board with the franchise, the number one problem you’ll have is finding a location and negotiating a lease. As you grow, you’ll probably have more marketing and sales problems. All good problems to have, but if you have the franchisor’s support in negotiating your lease, deciding on the size of your location, and even analyzing the demographics to open up in, your chances of success will skyrocket from the get-go. Is the franchisor able to help you hire and train your employees, so you can automate your business and actually take some time off? And think about this: as that franchise location of yours grows and you’re ready for a second and third location, is the franchisor able to guide you in developing systems, processes, and automation so you can expand? If those things aren’t there, consider looking elsewhere.